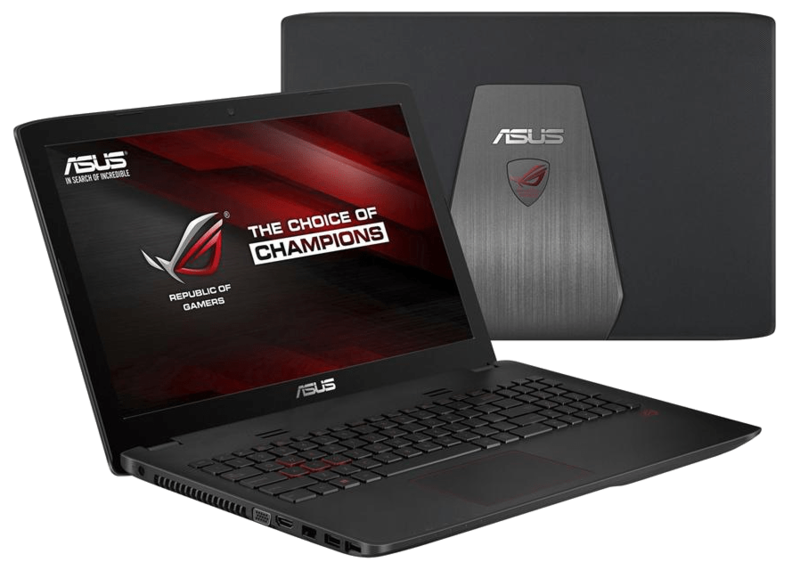 We will bring this week to a close while taking a look at the new Asus ZX50 gaming laptop. A lot of times we spend time talking about the work horses and the affordable budget/student computers. But let’s start the weekend off by hitting on a gaming piece for you gamers out there. 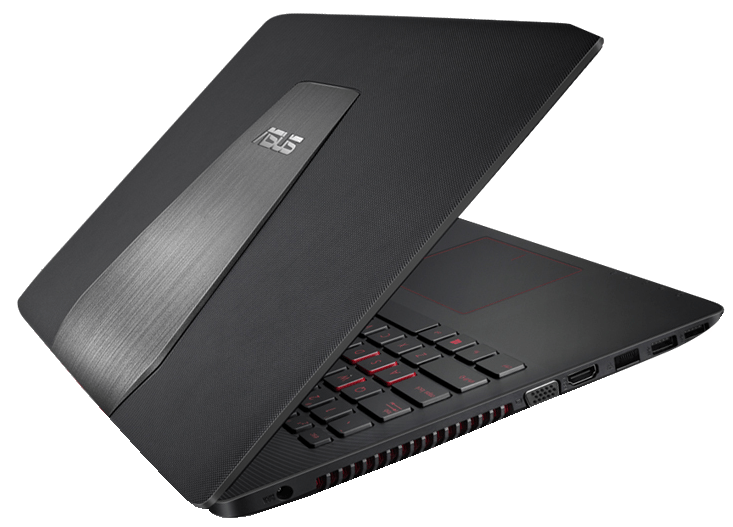 Asus’s Republic of Gamers Laptops are very popular, however, they’ve never have had a really affordable option until now. 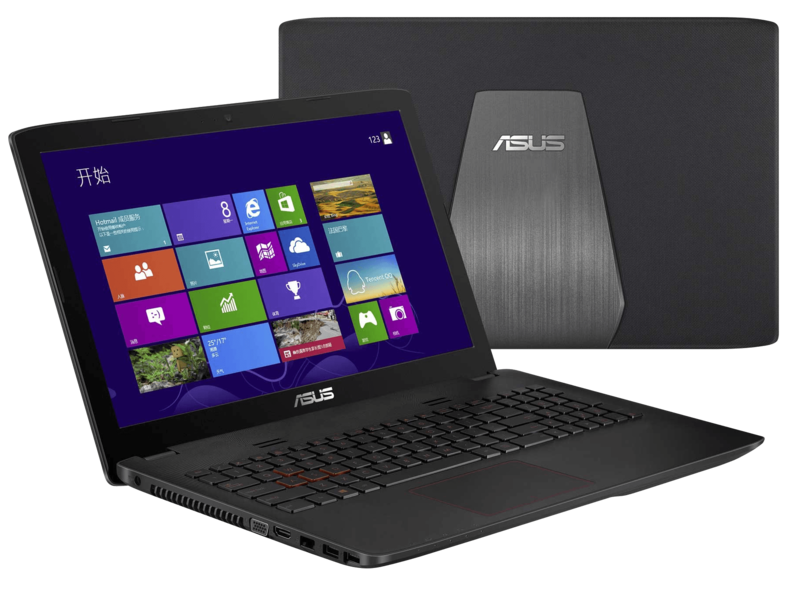 After seeing the success of the Dell Inspiron 7559, Asus launched their ZX50 with very similar specs. 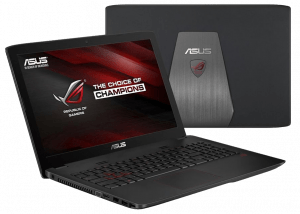 This Asus comes with an Intel Core i7-6700HQ, 8GB of DDR4 RAM, a NVIDIA GTX 960M and 1TB of 5400 RPM storage and a 720p HD webcam. This laptop retails for $749.99 USD. The build quality of this laptop is pretty weak on the exterior lid, it has a ton of flex the closer you get to the center. Also the keyboard was was about average for a laptop at this price point. The design of this laptop is pretty basic in comparison to other Asuses in their lineup, but it does stand out compared to other models. The construction of this laptop is entirely that of plastic. Its weight is 5.7 pounds and measure in at its thickest point at 1.4 inches. The interior is black on black with red lettering and a quasi looking carbon fiber towards the top of the keyboard. 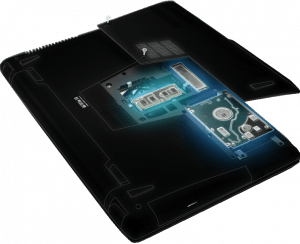 To upgrade your laptop simply remove the two philips screws and lift up the cover and there you have complete access to your 2.5 inch drive, m.s SD slot and the two sodium RAM slots. Performance from the stock setup is painfully slow. We recommend upgrading to a m.2 SSD for your main operating system for the best performance. You’re getting a strong performance from the Skylake based Intel Core i7-6700HQ, which is pretty dang fast. There is a pretty good amount of bloatware on this laptop but thankfully you can uninstall them one-by-one, or use a program like CCleaner and remove them automatically. After disabling McAfee and removing all the bloatware you will definitely notice an increase in power. 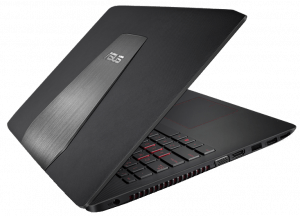 This laptop features an NVIDIA GTX 960M that is based on the Maxwell architecture. It also has 2GB of GDDR5, but keep in mind that the Dell 7559 comes with 4GB of GDDR5. Testing out Battlefield 4 with 1920 x 1080p on high settings the average frames per second (fps) was 40-50, but run on ultra settings you can get about 35-45 fps. With that being said, the GTX 960M card is pretty good going into 2017. The fan noise after about 45 minutes of testing was pretty high at 47-50 decibels. Also after about 45 minutes of gameplay the external temperatures were high measuring in at 46º celsius. The WASD keys did however remain pretty cool at about 37º-40º celsius. The hottest part at 54º-56º celsius was found on the left side above the fan. There are two top-facing speakers that sound really good. You will miss that low-end kick without the subwoofer. Here we will look at the sides of the laptop for the various connectivity options. On the right side Asus put the headset and microphone jacks, a USB 2.0, a DVD drive, and the Kensington Security Lock Slot. Left side has the charging port, an exhaust vent, a USB Type-C, a full sized HDMI port, an RJ45 Ethernet port and two more USB 3.0 ports. The front of the notebook features the SD card reader and the LED light indicators for the hard drive power, battery, airplane mode, and CAPS LOCK. The 15.6” TN panel on this laptop is just awful. The color gamut is low, the sRGB coverage is low at 59% and the Adobe RGB scored a 44%. Pound for pound the Dell Inspiron takes the cake with its better quality IPS display. The trackpad is only OK. It tends to jump around a lot when navigating, but the two-finger scrolling and multi-touch gestures were all on point. Since this is a gaming laptop odds are you will be using a mouse anyhow. The keyboard on this laptop is rock solid. The WASD red keys which look pretty awesome. The tactile feedback from the keyboard is great and the key travel is excellent. When it’s all said and done it offers a very comfortable typing experience. Good news for the backlit keyboard: it has 3 brightness settings. The performance from this 48wH battery pack. Ona full charge you can expect from about 3-3.5 hours on a fully charged battery with the screen set to medium. If you plan on gaming on the battery pack expect around an hour of gameplay. 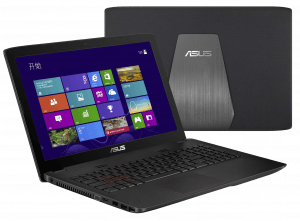 The Asus ZX50 is the cheaper version of the Asus GL552. The biggest difference here is you ose the higher quality IPS panel found on the GL552 and the aluminum lid. 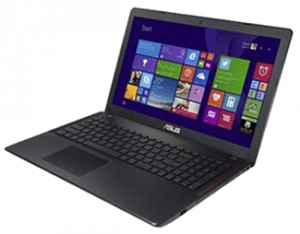 Asus almost hit a homerun with this laptop posing a serious threat to the Dell Inspiron 7559 however, the TN panel really held it back. 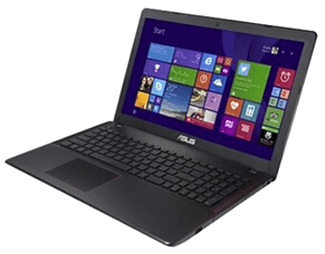 Planning to buy the Asus gaming laptop? 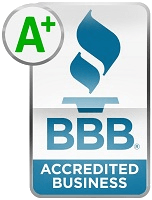 Sell your old laptop to SellBroke and get extra cash for the new one.